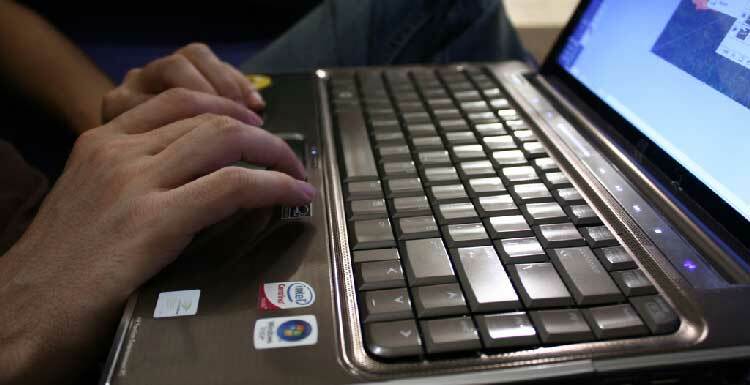 An Edinburgh man is calling on bookmakers to make their websites more accessible for users who are visually impaired. 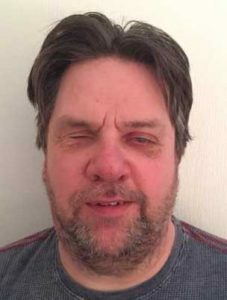 Robin, a keen sports fan from Edinburgh, suffers from a hereditary eye condition and uses software for tasks such as online banking and email. Robin, who is married and and has a 24-year-old son, has been a member of Profit Accumulator since last year but also enjoys traditional betting. However, he struggles to use some bookies' websites, as they are not easy to use with VoiceOver - Apple's text-to-speech software that helps navigate webpages. Robin said: "Although I haven't been on every bookie's site, I feel like I have been on plenty of them - probably around 20 or so. "From my experience, there are several that are fairly easy to use and many that are impossible to use and that I can only use with the help of a sighted person. "The main reason that many of the bookies websites are difficult, if not impossible, for people who use assistive technologies such as 'text-to-speech' software is mainly due to the way in which the user interface is designed with company's 'average user' in mind. "The desire to provide the 'average user' with the best user experience is not always compatible with the same experience for people using assistive technologies. "This means that they have detracted the user experience for one group of people in order to benefit their core user group. It is not only bookmakers who make this type of compromise towards a better experience for the majority to the detriment of people who use assistive technologies." Robin, a former city council administrator, says bookies - and other businesses - are missing out on potential customers by not making their sites more accessible. I am yet to find a single casino site that would allow me to play any type of gaming. "By failing to meet the needs of people such as myself, many companies, not just bookmakers, are potentially missing out on a lot of business," he said. "I know that it would be easy for companies to say that the amount of resources and financial outlay required to make all of their services accessible would be far greater than what they may expect to receive from new business, but this is not a valid argument as all businesses should be willing and able to make their services and goods available to all. "It can be extremely frustrating when trying to use many bookmakers' websites. I have to do a large number of flicks with my finger to navigate around just one page of a website. "As well as the problems encountered with placing bets on many sites, I am yet to find a single casino site that would allow me to play any type of gaming. "I get a lot of offers from bookies, offering me free spins, deposit boosts, etc. If my wife wasn't here to do some of these offers, they would be totally unusable for me, which means I am probably missing out on opportunities to make some money." The World Wide Web Consortium (W3C) provide guidelines on making websites accessible, but Robin says these are "vague" and "lax". Robin says more visually impaired people should be involved in the testing process of websites. He added: "I would call on all web designers - not just those who work for bookmakers - to consider the needs of visually impaired people when creating websites so that they are fully accessible. "This can be done by ensuring that website text is easily read and that colour contrasts do not interfere with people's ability to read text and that easily readable fonts are used. "If companies wish to continue to provide their content in the same way as they do now then they should be willing to provide an alternative site for visually impaired people that can run alongside their main site. "There are many visually impaired people that web designers could use as "testers" to help them to ensure that their content is accessible."